The final assembly task is to connect the extruder wiring to the Smoothieboard. 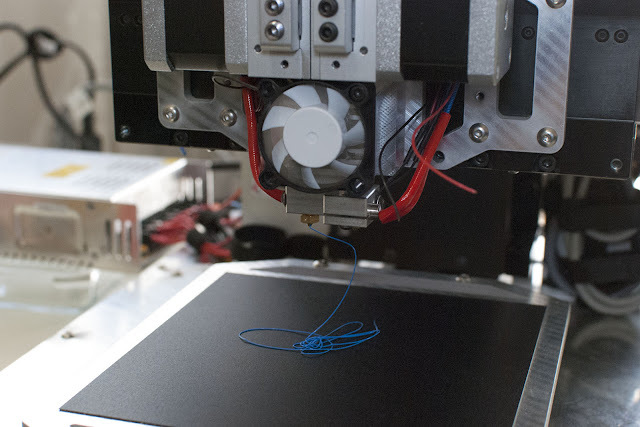 I did this in a slightly roundabout way so that it will be easy to swap the extruder in the future, if necessary. 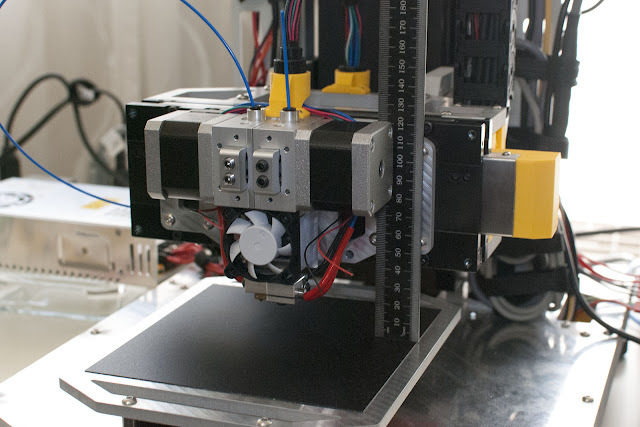 Two complete direct drive extruders plus cooling fans needs a lot of wiring, so I decided to run flex-rated multi-conductor cable through the Z axis cable chain to keep the mess under control. Building the cables is quite straightforward. I used connectors I had available so they don't follow any particular convention. 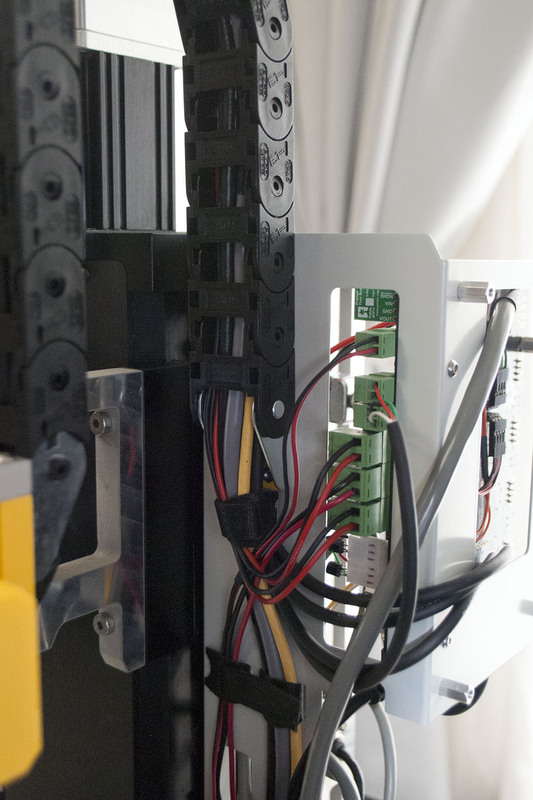 The stepper motors are connected through four pin dupont connectors. 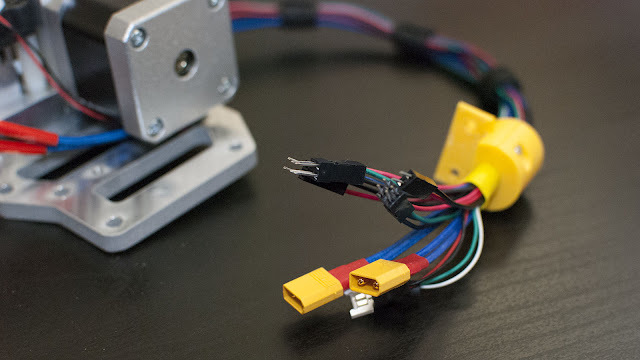 And the heater cartridges use yellow XT30 connectors to accommodate their power requirements. The remaining two pin connectors will connect to the temperature sensors and fans. 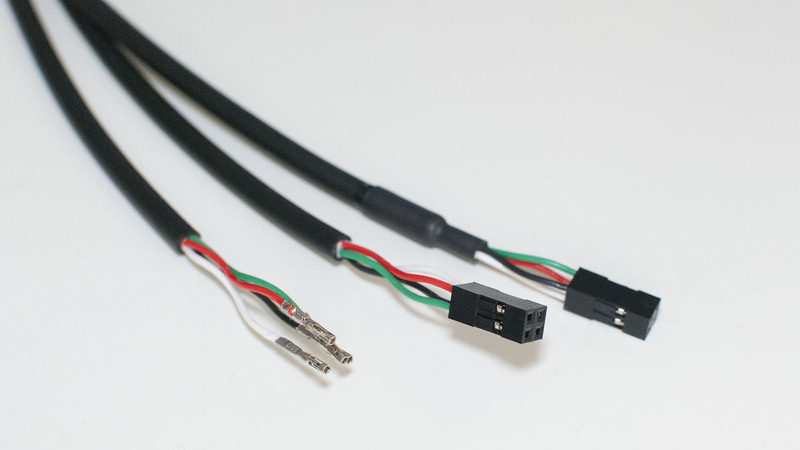 The CF884 cable would have been perfect for powering hot-ends, because it has two large gauge power wires for the heater, a four conductor bundle for the stepper motor, and a number of shielded pairs for sensors and fans. After completing the cables I terminated the extruder wiring to match. 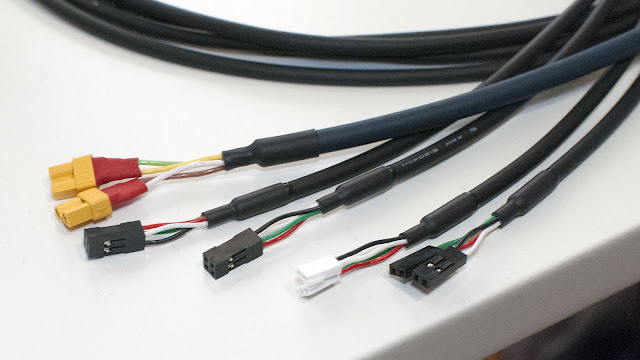 I think this picture explains why I wish I had gone with two CF884 cables instead of five 4-conductor runs. 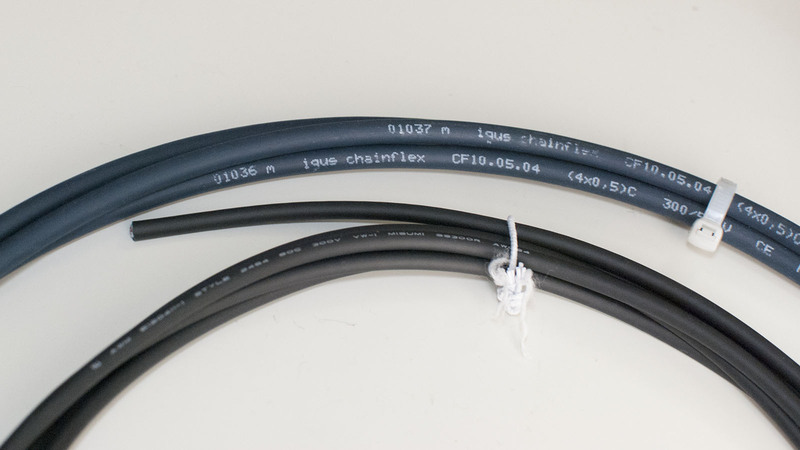 I'll try to organize the cable chain better after the printer has been tested. The other side of the cable chain is a little nicer. Finally I did a quick test fit of the side-panels to make sure they can still close over the wires. The printer looks much nicer once the mess has been hidden. 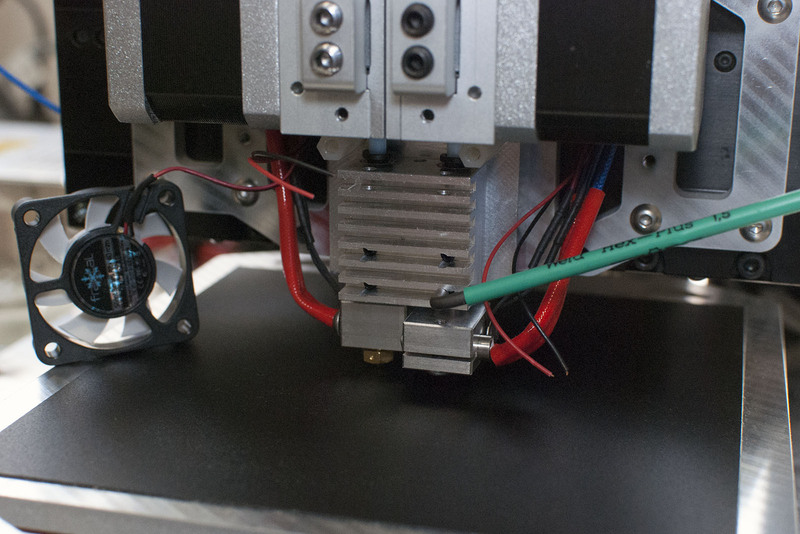 Since my cables are not marked I have no way of differentiating between the two extruders. I did some quick testing and swapped channels in the config file until everything was working as expected. 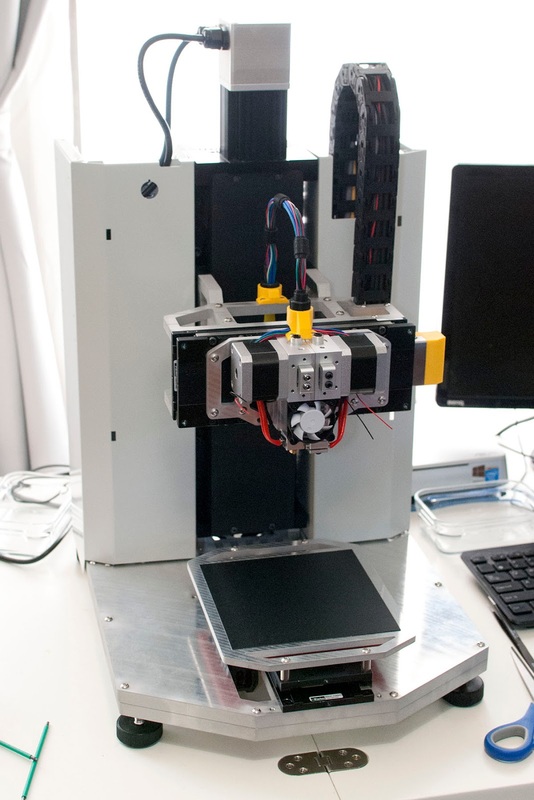 Finally it's time to set Z axis zero. 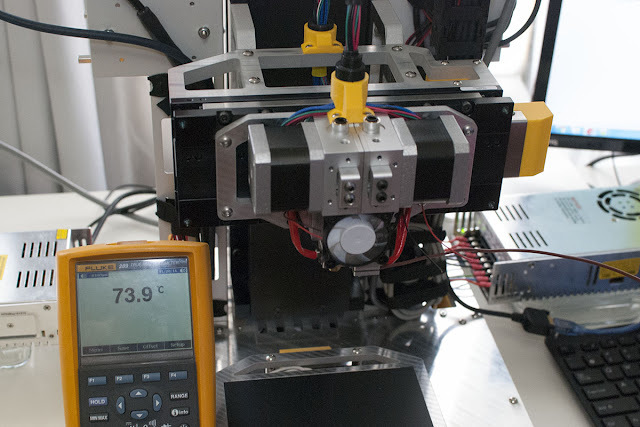 This process is a little nerve-wracking because my Z axis will have no problem crushing the hot-end if commanded to do so. A g-code slipup or accidental jog downwards will almost certainly snap both heatbreaks. I moved the axis down slowly and in small increments to make sure it never went too far. The final measurements were made with a feeler gauge. 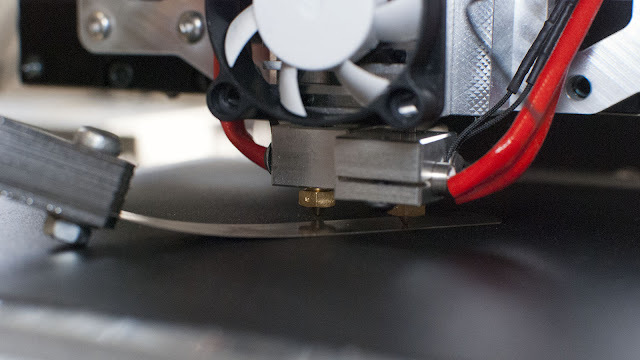 Feeler gauges are useful for measuring rigid setups, but are not so great for typical 3d printers - the bed and nozzle will just bend to accommodate the gauge. 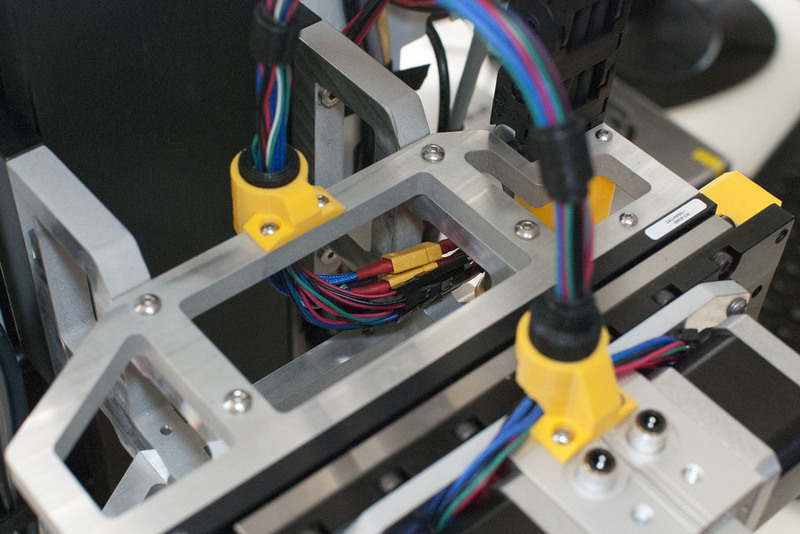 The last step is to make sure both nozzles are at the same height. This was pretty easy - I simply pushed them down and locked them into place. The printer is now in a working state. I won't install the sheet metal enclosure until it has been fully tested, but its finally time to start printing.